WormMainea: What’s in Your Worm Bin?! You may think you have mostly worms in your bin, but you’d be wrong। In fact, your bin is a very complex and diverse ecosystem. You have hundreds of species of organisms working in harmony to turn your food waste into beautiful compost. 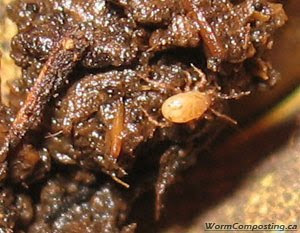 Your red worms are only a very small population of the other micro- and macro- organisms that inhabit your bin. Sometimes new users write me with concerns when they notice some populations that bloom in number. Often they fear these organisms will flee the bin and harm houseplants or become a pest in their home. No to worry. These organisms are happy in your bin where they have food and darkness. They are decomposers, so they do not harm houseplants. What is really interesting is that these species have slightly different environmental preferences and food requirements। This means that depending on the conditions in your bin and what you are feeding, you may have some population blooms of these other species. For example, if you place a lot of sugary fruit in your bin, you will see mites bloom followed by an increase in the number of springtails. When their food supply weans they will die off. 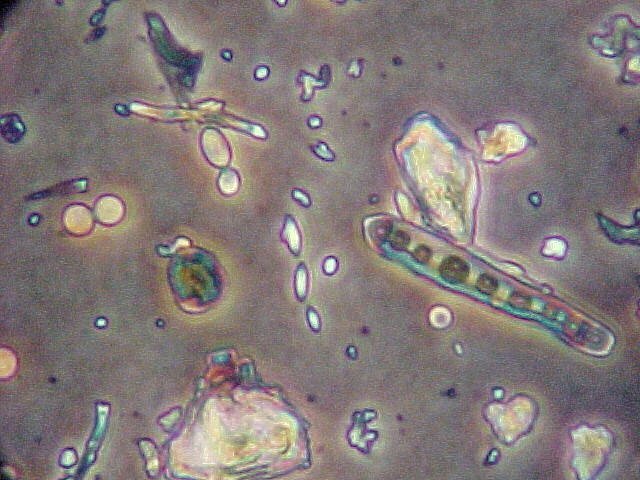 Bacteria are by far the most numerous organisms in the vermicompost system. They break down organic matter to make it available to earthworms and other organisms in the bin. Remember, your worms don’t eat the food you put in, but the rot that is on the food. 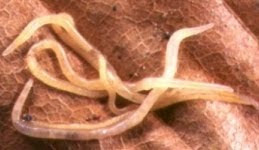 Bacteria are essential to your worm bin, just as they are in outdoor soil. In addition to the bacteria, mold and fungi are busy decomposing the organic matter in your worm bin. 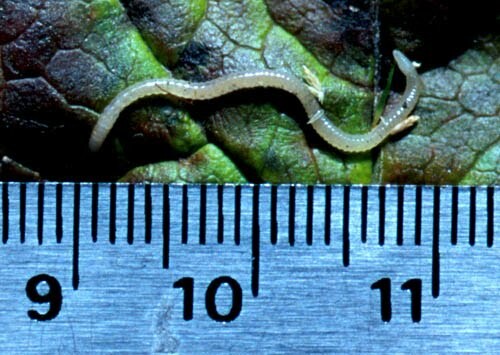 They are also an additional food source to other organisms in the system, including earthworms. Because they can grow big enough to be seen, these can be a sign that you have more food than the system can quickly manage and the feeding rate should be decreased. Mold and fungi pose no threat to the garden or the animals living in the worm bin, but overgrowth of these can cause irritation to humans with mold allergies. To keep them under control, feed in small amounts and when you see an overgrowth of these hold back on feeding. Springtail are an insect (white or tan) that can be seen fairly easily on the surface of the soil। They are beneficial in the system and have no interest in living plant tissue. Some texts claim that more than 80% of the organic matter on earth passes through the gut of a springtail or sow bug on its journey to becoming topsoil. They are most noticeable after a bloom in the mite population or in nearly finished compost. 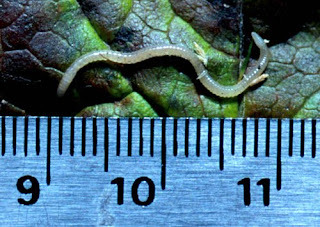 Sometimes mistaken for young red worms, these are very small white worms. They too are beneficial organisms that feed on decaying organic matter. Potworms are more common when your worm bin is on the acidic side, but they do not necessarily mean that you have a problem. You will see them after adding a lot of citrus. Remember: the food waste you add to you worm bin today isn’t eaten by the worms until the other actors in your bin have done their job. Bury your food (adding the amount appropriate to the number of worms in your bin) to bring these organisms in contact with your food to get the process started and next time you have a moment, take a close look at your ecosystem. You may be surprised at the complexity of the system you are maintaining. As always, your senses should be your guide to vermicomposting. What do you see, smell and feel in your bin?